Four finalists have been selected to pitch in front of a live audience and panel of judges at the world famous Antone’s Nightclub in the heart of Austin. For ticket information, please visit the JCW site for more details. We hope to see you in Texas to help us celebrate these incredible Hoyapreneurs! In 2015, Diana met Daniel Rau, Marine Corp Veteran (she had no idea he would become her future husband). Together, they co-founded Veterati (on-demand, digital career mentorship platform) with long-time friend, Marine Corp Veteran, and successful tech entrepreneur, Thy Tang, to help our Veteran friends and 1.5 million Veterans who served in the post-9/11 era secure the post-military careers of their dreams. The Global Head of Military Programs of the #1 Veteran Employer in the United States calls the proprietary mentorship-on-demand software they have developed for veterans, “The Uber of Mentorship, a game-changer.” They found product-market fit 6 months from launch, signing their first enterprise customer, Fortune13 company Verizon, in July 2016. Veterati currently serves 3000+ members. In additional to Veterati, Diana founded several ventures and social impact projects, including League X (branding agency), Bundshop (empowering emerging designers to reach the global stage), and Blublockers in China (launching an American sunglasses brand in China to fund cataract surgeries). Diana graduated from the School of Foreign Service at Georgetown in 2012. Veterati is redefining mentorship for the digital age by solving global talent challenges with on-demand mentorship software. The first talent challenge we’re solving is leveraging volunteer career mentorship to guide 1.5m Veteran Job-Seekers to Military Employers. We found product-market fit 6 months from launch, signing our first enterprise customer, Fortune13 company Verizon, in July 2016. We have 28 Fortune100 companies in the pipeline, 3000 users and growing, and are seeking angel investors from the Georgetown Alumni Community to scale growth. Simon spent the past seven years working in analytics & consulting at Finalta, contributing to its rapid growth from an early stage start-up to a wholly owned subsidiary of McKinsey & Company. Most recently, he launched and grew Finalta’s business in North America. Simon primarily focused on people development & recruitment, client management, business development and product management. Simon has a BS in business administration from Georgetown University. Prior to Pivot Health, Tony worked for Primary Venture Partners, a New York based venture capital fund that invests in SaaS and ecommerce start-ups. He also spent five years in strategy consulting where he specialized in advising corporations in connection with contested M&A deals, hostile tender offers and other related corporate governance matters. Tony holds a BS with concentrations in finance and international business from Georgetown and a MBA from The Wharton School, University of Pennsylvania. Michael has a decade of experience in health finance, health systems strengthening, and novel technology deployment in both domestic and international settings. He has contributed to several WHO, World Bank, and USAID publications on a variety of public health topics. Michael is a graduate of the Georgetown University School of Medicine, where he obtained his Medical Degree, as well as Master’s and Bachelor’s degrees. He will be pursuing a residency in emergency medicine later this year. Healthcare recruitment is broken. At Pivot Health, three Hoyas are disrupting the traditional staffing industry by applying technology to improve talent sourcing. Our digital hiring marketplace enhances the job-seeking experience, applies data analytics to improve the fit between clinicians and employers, and reduces employer spend. Pivot Health’s pilot launches this Spring, with an initial focus on Nurse Practitioners. Richard is a native Washingtonian and Georgetown University graduate with 30+ years of commercial real estate experience. In 2002 Richard borrowed a desk in a friend’s office and founded McBride Real Estate Services, Inc., now one of DC’s top commercial real estate companies. 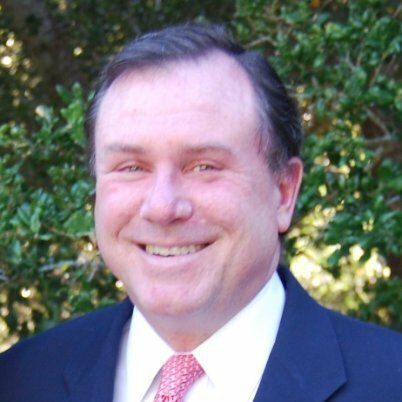 Throughout his career, Richard has striven to apply new technologies in commercial real estate including creating the first computerized office lease analysis in 1983, founding a VAR (Systems Engineering Solutions) to support his client’s IT needs in the 1990’s, building a client services intranet in the 2000’s and developing a full suite of proprietary analytical tools exclusively for McBride’s brokers and clients. Richard is also a life-long athlete and avid surfer, who passion for surfing far exceeds his skill at riding waves. Richard and Zak observed a need to create a more efficient way for tenants to find and lease small office spaces. The commercial real estate market is ‘veiled’ for those outside the business and many office tenants are too small to get the attention of industry professionals. Potential fees from negotiating small office leases are too small to support a broker’s career, while many landlords and larger tenants have valuable pockets of extra space that goes unleased. Small office leases are also unnecessarily complex, typically using the same 100+ page lease forms for a 10,000 square foot lease as a 1,000 square foot space. SwingSpace expresses Richard and Zak’s belief that our clients benefit from market transparency and competition rewards greater efficiency. Like other successfully disruptive businesses, SwingSpace recognizes that business technology and consumer awareness have reached the intersection of desire and ability to transact commercial real estate online. Furthermore, by recognizing that smaller, “as is” office suites should not require an overly complicated document, our mission is to streamline and simplify an archaic process. Drew Clark is the founder and CEO at California Cowboy, a recently launched lifestyle brand whose mission is to leverage style to bring people together in analog. He launched the brand with the High Water shirt in Spring 2015, using the crowdfunding platform on Indiegogo. Hand sewn in California and designed with "apres-surf" and pool parties in mind, this Hunter Thompson - James Bond inspired reinvention of the cabana suits from the 50’s and 60’s sports original hand painted prints, an innovative blend of terry cloth lining, and a few other conversation starting details. Prior to launching California Cowboy, Drew worked in the fashion industry for more than 15 years, holding roles in Design and Merchandising at Levi Strauss, Gap Inc, and most recently, Trumaker, a venture backed men’s made to measure start up in San Francisco. He graduated from Georgetown’s College of Arts and Sciences in 2000 with a BA in English, and received his MBA from the University of Southern California in 2010. California Cowboy has been featured on industry blogs Uncrate, Airows, Inside Hook, as well as  Brobile, and is currently working on collaborations with a number of influencers and creatives. Lawrence Coburn is the CEO and Co-Founder of DoubleDutch, the leader in Live Engagement Marketing software for events, conferences, and tradeshows. Lawrence founded DoubleDutch with the dream of bringing the magic of software and technology to the physical world of live events. Since its inception in 2011, Lawrence has led DoubleDutch to be one of Deloitte's 500 fastest growing companies in North America, Inc. 5000's fastest growing private companies, AlwaysOn Global 250 best-of-breed private companies in SaaS and Enterprise, and Forbes' list of 10 hot companies to work for in San Francisco. DoubleDutch is based in Potrero Hill of San Francisco with regional offices in Amsterdam, London and Hong Kong. Having worked in technology for 20 years in roles spanning Human Resources and Engineering Management, Lawrence has founded two venture funded companies and has bootstrapped several others with a particular focus on social software. He is a well recognized thought leader in the mobile, social, enterprise space. You can find his perspectives across a wide variety of business and technology publications including Wall Street Journal, Forbes, Inc., Fortune, BloomBerg, TechCrunch, Mashable, CMSwire and VentureBeat. Lawrence lives with his entrepreneur wife Lilia and his master builder daughter Lucia in San Francisco's Mission District. When he is not working or spending time with his family, you can find him on the basketball court, reading science fiction, or helping first time entrepreneurs with The Struggle. Lawrence serves on the Board of Directors of Fuzzy, a pet wellness company, advises several others, and is a mentor at Berkeley's Big Ideas program. Bud Colligan focuses on software, digital media, education, and cloud computing investments at Accel Partners, which he joined in 1998. Bud sits on the board of directors of Yodlee and lynda.com and is an investor in and adviser to Days of Wonder, Wheelhouse and NextSpace. Bud was an Investor and Board Member at CNET Networks, acquired by CBS (NYSE: CBS); Brightmail, acquired by Symantec (NASDAQ: SYMC); and S3 Corporation, acquired by Via Technologies (TSE: 2388.tw). In 2013, Bud was honored as an Outstanding Director by the Silicon Valley Business Journal and San Francisco Business Times. Prior to Accel, Bud co-founded Macromedia in 1992 through a merger of Authorware and Macromind-Paracomp. Bud headed Authorware as President and CEO from 1989-92. At Macromedia, Bud served as CEO from 1992-97 (taking the company public on NASDAQ in December 1993), and as Chairman until July 1998. During Bud's tenure, Macromedia grew from a start-up to over $100 million in revenue. In 1996, Bud was named Software Entrepreneur of the Year by Ernst and Young. In 2005, Macromedia was acquired by Adobe Systems for $3.4 billion. As Executive Director of Rent the Runway Foundation, Jennifer oversees Project Entrepreneur - a national initiative launched with founding partner UBS to grow the pipeline of women building scalable, economically impactful businesses through its robust digital hub, multi-city educational workshops, venture competition, and 5-week accelerator program. Jennifer’s career has spanned the media, arts, and tech industries, where she supports creators and their work. Brown leads Keystone’s venture capital activities including investments in 33 companies since 1998. His successful investments include, as examples: WOW Internet and Cable (acquired by Avista), FEP Capital (acquired by SocGen), Lattice Communications (acquired by Global Signal further acquired by Crown Castle), Digital Island (acquired by Cable & Wireless), Telephia (acquired by the Nielsen Company), WhoWhere (acquired by Lycos) and Avalon Cable (acquired by Charter Communications). Prior to joining Keystone, he was a Vice President in the Corporate Finance Department of Salomon Brothers where he was responsible for a number of private equity firms including Keystone. He also advised clients on mergers, divestitures, high yield public and private debt offerings, IPO’s, and financial restructurings. Brown is a very active current and past board member of numerous public and private companies. He is also active in a number of charities and non-profit organizations and currently serves as Chairman of the Development Committee of Bowdoin College and also serves on the board of Naturebridge and the Tuck Center for Private Equity and Entrepreneurship. Brown received a BA from Bowdoin College and an MBA from the Amos Tuck School of Business Administration at Dartmouth. Brown's wife, Maureen, is a John Carroll Awardee this weekend in Austin. His daughter, Megan, graduated from Georgetown in 2014 and his son, Michael, is in the class of 2020. 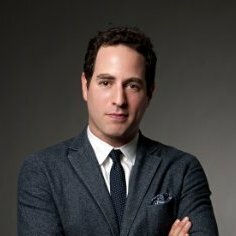 Randy Goldberg is the co-founder and chief brand officer of BOMBAS. He is responsible for bringing the brand to life, creatively conveying the Bombas brand and mission, and helping to design a sock that boasts a combination of fashion, function, and philanthropy. Randy graduated from The McDonough School of Business at Georgetown University with a BS in Finance, and is a veteran in digital creative, copywriting, strategy and branding. He has consulted, written and developed unique content for top companies including Nike and vitaminwater, and led the creative development of digital media brand UrbanDaddy. In addition to BOMBAS, Randy is the founder of two additional companies, which he currently runs—Tennis Partners, a creative consultancy, and Pop Up Flea, a personally curated pop-up market of new and vintage men's goods. He is a wearer of many hats, both figuratively and literally. Randy has been featured on ABC Shark Tank, Bloomberg TV, NBC TODAY Show, Esquire.com and more.